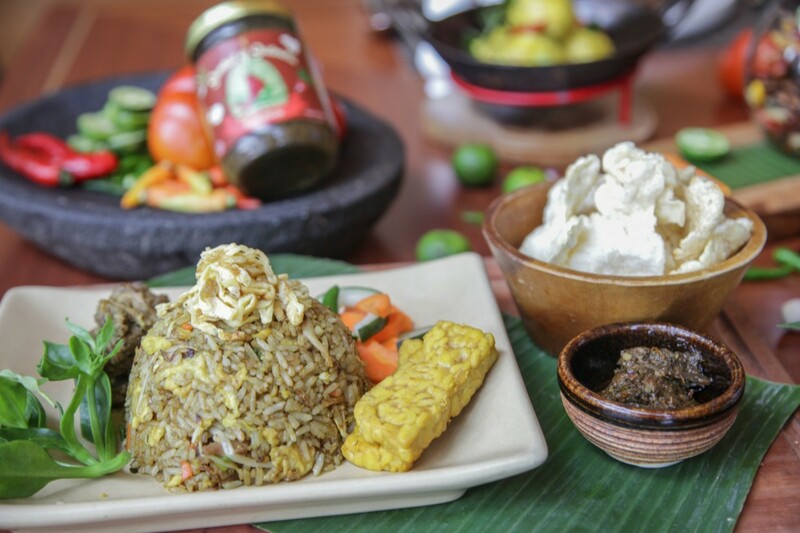 JW Marriott Hotel Jakarta has launched its one-of-a-kind condiment, Sambal Koja, created by its culinary team of Sailendra Restaurant. 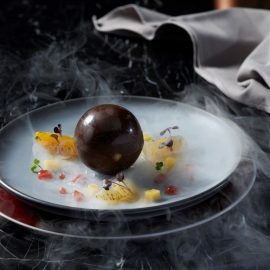 Nestled at JW Marriott Hotel Jakarta, Sailendra Restaurant, presents a product which has been resulted by its brilliant culinary team. Belonging to the product range of ‘Sambal of Sailendra’, ‘Sambal Koja’ is the first produce from this exquisite dining haven. 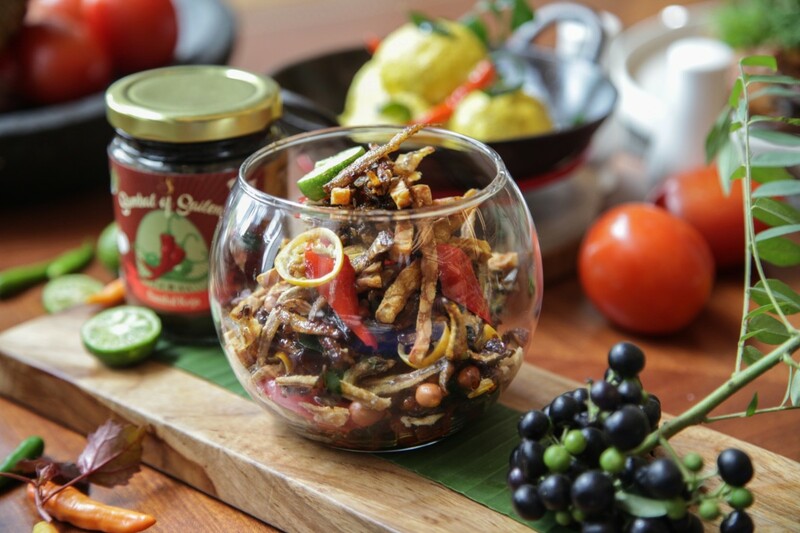 Carefully packed in a jar of 220 grams, ‘Sambal Koja’ is crafted using the various fresh and authentic ingredients of Indonesia. Offering the affordable luxury marketing strategy, the delectable condiment is priced at IDR 50,000, – nett per bottle at Sailendra Restaurant. The idea behind the launching of ‘Sambal of Sailendra’ products is the ‘Sambal of the Month’ themed dining experience at Sailendra Restaurant which has received lots of positive feedback from the consumers. With ‘Sambal Koja’ being set as the ‘Sambal of the Month’ during the last Ramadhan Season, guests have been resonating a very affirmative comeback regarding the condiment. The essential ingredient of ‘Sambal Koja’ is the koja leaves or salam koja leaves. These leaves are also widely known as curry leaves or temurui leaves in the province of Aceh. Making it a healthier choice of product of its kinds, the jar is also filled with natural preservatives which are made from the mixture of vegetable oil and fresh garlics. “Sambal Koja could undoubtedly be referred as multifunctional sambal as it can be used as cooking spices conjointly”, explained Adeza Hamzah, the Cluster Director of Marketing Communications of JW Marriott Hotel Jakarta and The Ritz-Carlton Jakarta, Mega Kuningan. 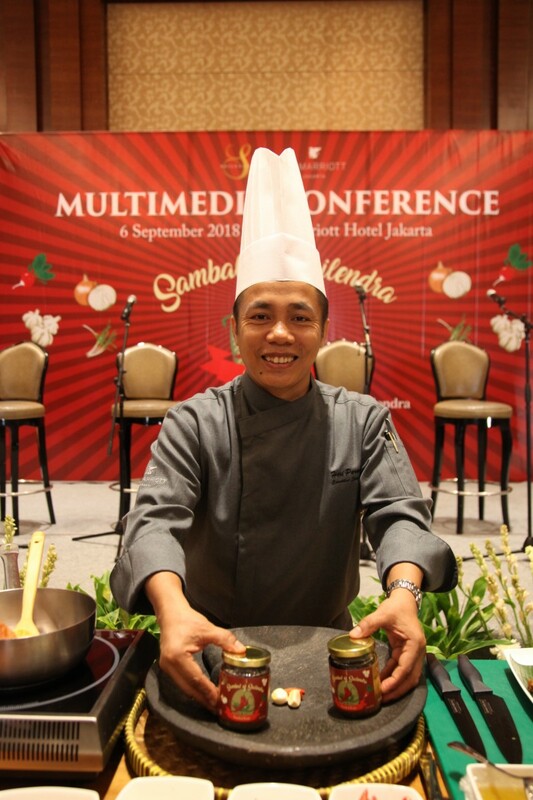 “As we launch the first product from the range of ‘Sambal of Sailendra’, our culinary team also embark upon a cookbook containing various of recipes that could be prepared using Sambal Koja. 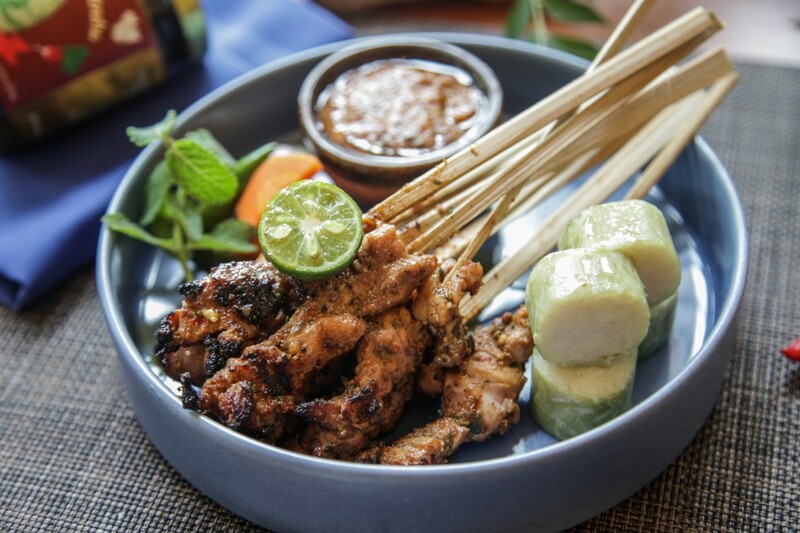 These dishes presented through the cookbook could easily be made at home, such as: Ayam Bakar, Telur Begana, Bubur Pedas, Nasi Goreng Kambing, Sate Ayam, as well as Tempe, Teri and Kacang,” he added. To celebrate the launching of ‘Sambal of Sailendra’ range, JW Marriott offers numbers of exciting promotions. For every purchase of five bottles of ‘Sambal of Sailendra’, buyers will be presented with one cookbook containing recipes using the ‘Sambal of Sailendra’ itself. 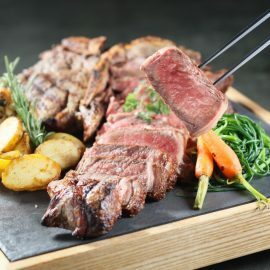 To ease in obtaining these products, JW Marriott exclusively collaborates with GrabFood in delivery service, such that consumers could purchase the products through their GrabFood application. Apart from this, ‘Sambal of Sailendra’ could also be purchased through various of e-commerce platforms. 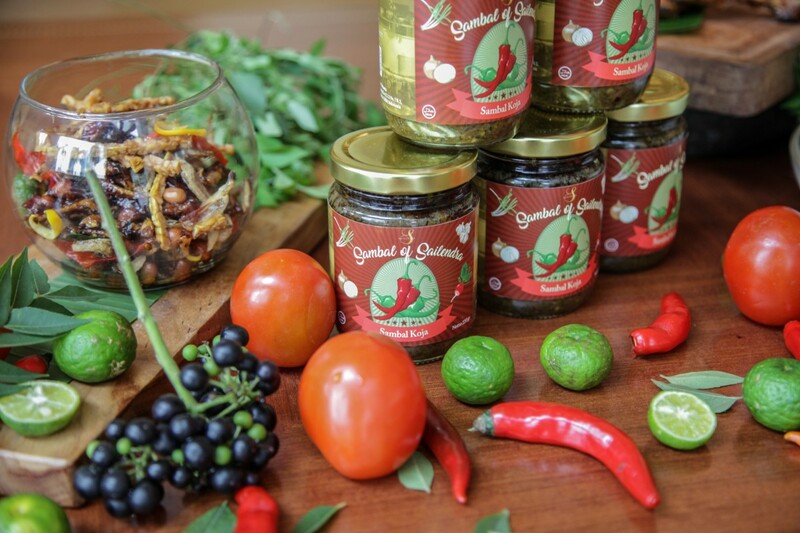 In the near future, the products of ‘Sambal of Sailendra’ could be purchased at the Sambal Gallery, which will be contrived at the lobby area of JW Marriott Hotel Jakarta, and also numbers or renowned grocery stores. 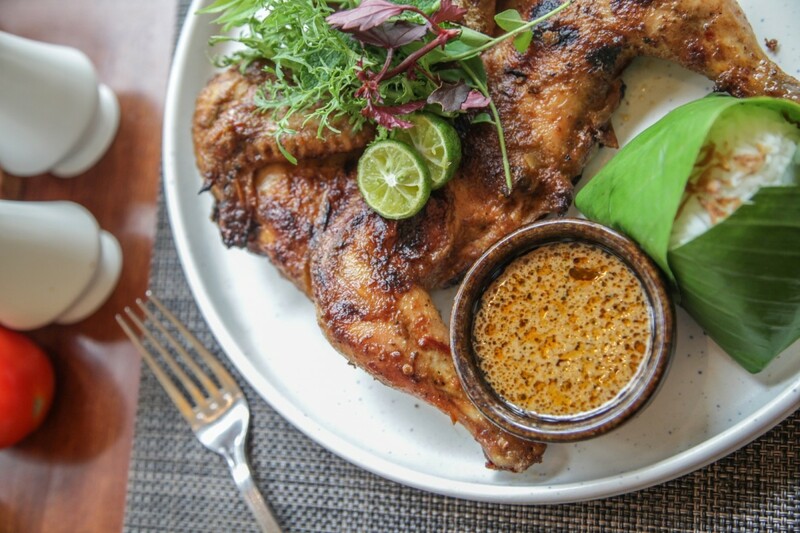 Fairmont Jakarta’s 1945 offers guests a truly authentic Indonesian fine dining experience, presenting the familiar with a flair that only amounts to a tantalising journey of the senses.